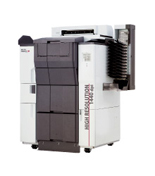 The QSS 3800 series brings the quality and service that you expect from a Noritsu digital minilab,in a smaller more cost effective package. Enjoy all the benefits and versatility of a traditional photo system, in a new more efficient space-saving design. The QSS - 37HD series with this new era as a background, providing higher resolution, higher definition and more creative portrayal than ever before. Our minilab has evolved to meet the new demands. Come experience the QSS-37HD difference. 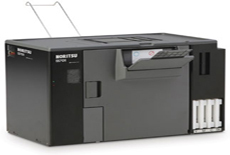 The D1005 HR is simple to use and efficient for a wide range of retail environments with eco-friendly operation, four ink color system and 4-by-6 inch print capacity of 950 prints per hour and up to 3,800 prints without changing paper. 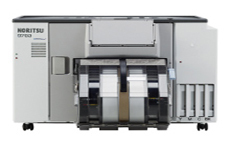 The D703 inkjet printer gives the user the ability to create a full range of photo products including 4”x6” prints, calendars, greeting cards, locker prints and posters up to 10”x36”. An ideal solution for high-volume retailers and demanding studio environments. 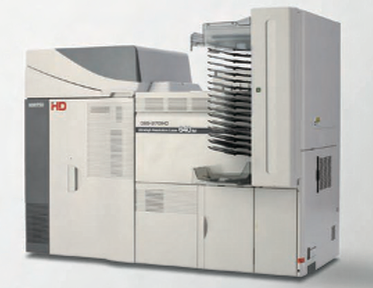 The D701 is a compact inkjet minilab that does not use any photofinishing chemicals, which means it is easy to install in just about any type of location, is easy to perform maintenance for, and is friendly to the environment.